The official start of VMworld will be tomorrow (Tuesday) with the General Session. But every year a lot of events and gatherings are already taking place the days before. 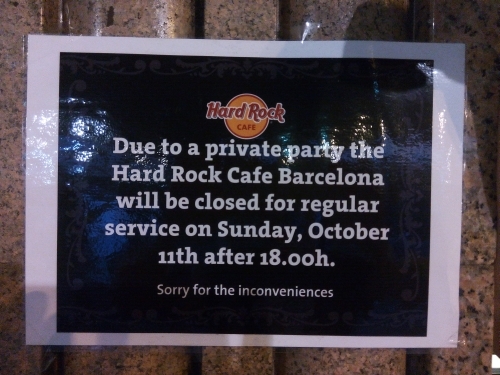 Traditionally the inofficial VMworld kick-off happens at Sunday night in the Hard Rock Cafe Barcelona. Marco Broeken and Patrick Redknap (and a lot of helping hands I guess) are organizing #vRockstar for the fourth time now – and because of growing number of attendees they have booked the complete Hard Rock Cafe this year. 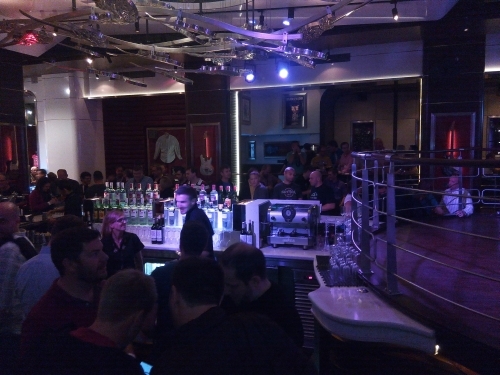 It was a great event and a good chance to meet many folks of the vCommunity: bloggers, VMUG members, vExperts,… I had some really good talks, but unfortunately time was flying and at midnight we were back at the hotel. Today (Monday) I have spent most of the time at the venue – in the Hang Space and the community lounge. As a pinpall and arcade fan it was also a great pleasure to play some games at the entertainment machines there (eg. 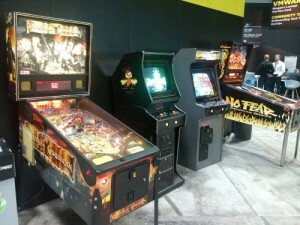 Pirates of the Caribean and a No Fear pinball). Now it’s time to plan the evening activities. A lot of different parties and gatherings are taking place and it is hard to decide which one (or two) I want to attend. If you get up early tomorrow (Tuesday) think about attending #vBreakfast. Manfred Hofer tries to establish this event (you may know it from the US conference) in Barcelona, too. Last year there was only one guest – so maybe you have time and it will work better this year. vBreakfast will be in the time from 7:00 – 8:00 – use the chance to start the day with a warm cup of coffee before VMworld 2015 will official start with the General Session. Please note, that vBreakfast is a bring your own wallet event.